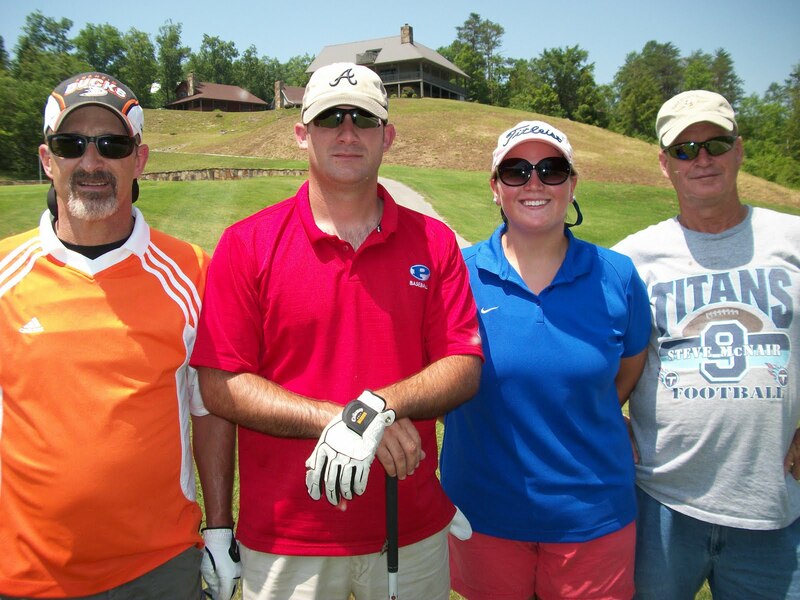 Today I played in the Lee Horner Memorial Golf Tournament. Lee was the brother of my momma’s best friend, and I play in this tournament every year not just in remembrance of him, but also because the proceeds go to youth athletics in my hometown. Team Godfrey: Uncle Jerry, cousin Michael, myself, and Daddy! The weather was blazing hot and the gnats were a little unforgiving, but we made it through. Incomplete scorecard. We ended up being -2. ﻿Since I was the only female in my foursome, I had a big advantage on the drives. Our team used 16 out of 18 tee shots. In case you don’t know a lot about golf, that’s GREAT! Of course I had to pose for a blog pics. We drove around in a golf cart, so I’m not totally sure that my four hour golfing adventure would be considered exercise, but I sure did sweat enough to fill a swimming pool. Score! I also walked with Momma tonight, so I got my exercise for the day anyway. 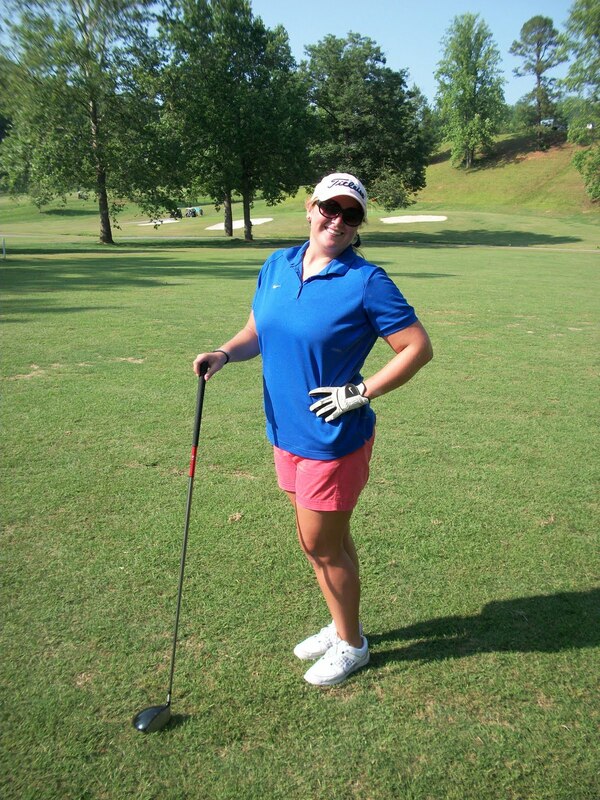 Oh, and FYI, even though I played collegiate golf, I’m not actually good. I just pretend to be and try to dress cute to look the part. 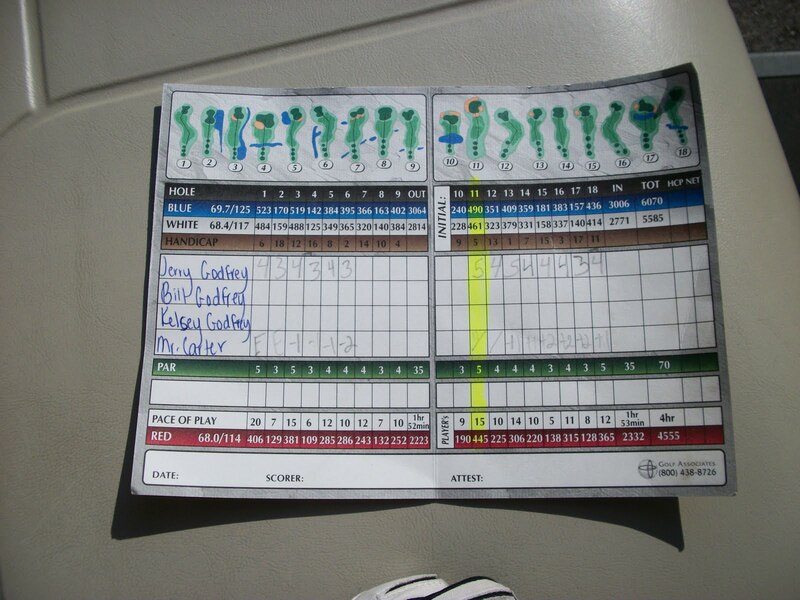 Today was strictly fun and having the pressure off of my game made it a great day on the links! 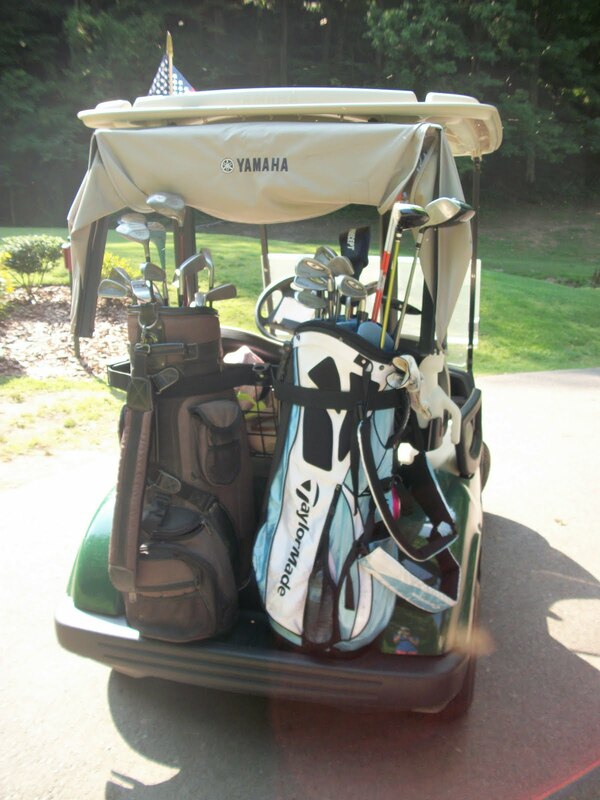 My golf bag is fit for a princess. My feet enjoyed a break from running shoes to put on some golf spikes.